All kinds of music are all right with me – I decided to take today to share with you some of my favorite country songs. Please, feel free to list yours in the comments! Funny story – I was never a Garth Brooks fan until I went to one of those “lookalike shows”. The fake Garth Brooks sang this song, and I had to look it up when I got home. I discovered this song when I lived in New Orleans. It’s a simple, to the point love song. I like everything about this song. I know it’s an old Roger Miller classic, but the combination of Randy Travis’ twang and Josh Turner’s buttery deep voice is to good not to share. What are some of your country classics? Leave them in the comments! On occasion, this geek gal likes to try her hand at new recipes in the kitchen. I’m not a great cook, but I know what tastes good and how to alter a recipe. Mix softened butter, chives and garlic. Shape the mixture into a rectangle, like a stick of butter, then freeze for about 30 min. You will be slicing this later. Pound the chicken breast halves until they are as flat as possible – ½ – ¼” thick. I salt and pepper the meat, but that’s up to you. Get your butter mixture. Slice it into six pieces. Place one piece on the center of chicken breast half. Fold the long ends of the chicken breast over the butter, then the short sides. Secure with toothpick. Mix cornflakes, parsley and paprika. Dip chicken into buttermilk then coat evenly in the mixtures. Place the chicken in the pan, seam sides down. Bake for about 35 min, uncovered. Remove toothpicks. Like what you read? Hop on over to The Sultry Scribe and sign up for my newsletter! Google wants to be your friend. Ever get that feeling of cold fear in your heart when you’ve typed out the best chapter ever, putting the cap on 5k words, clicking save and having your computer crap out on you? Or worse, going to turn on the computer to start your morning work and seeing a black screen? As authors, we should do things to protect ourselves and our work. If we lose wordage, that sets us back, steals our time and our creativity. Yes, we can type it over, but we’ll never get those hours nor the the unique quality of our words again. That can drape a wet blanket over the next chapters that we try to write. I know we’ve seen the posts about the hard drive that failed, the thumb drive that failed, the CD that failed and I truly sympathize. It’s a terrible, terrible feeling. Never fear, there are cures for your ills. Most of us have sold our souls to Google a Gmail address, right? Perhaps more than one depending on what we do online. Well, this Gmail address is a goldmine of free services just there for the taking. I’ve used Google Docs for years. You might call me an early adopter, or a geek who is so excited about the next best thing I’ll stick my hand in a bear trap to get in on a beta. Maybe not a hand, because I’ll need that to type with, but you get the idea. I’m typing this right now in Google Docs – while it doesn’t have the full functionality of a Microsoft Word or OpenOffice, it gets the job done. Plus, there’s a lot less distractions. So come on over to Google Docs, sit next to me on the couch. 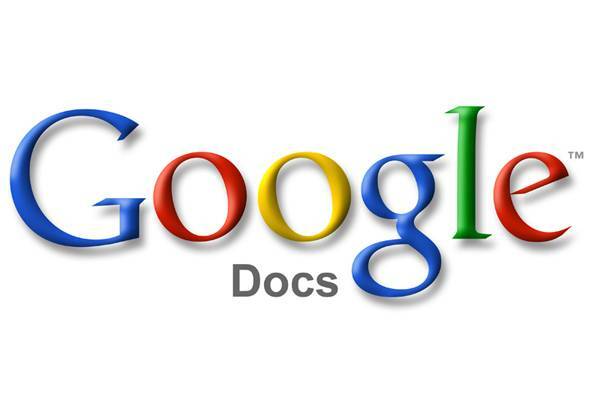 Try Google Docs for your work – you won’t be sorry. Or if you are, it’s not my fault, okay? If you have any questions about Google Docs, leave a comment or send me an email dahliadewinters @ gmail.com.